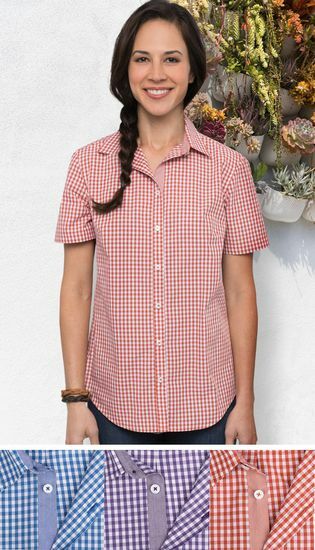 New for Summer Our Gingham Check Short Sleeve Shirt is offered in three new vibrant gingham shades and have the added touch of contrasting fabric colors on the inner sleeve , upper placket ind inner collar. Offered in a our New Slimmer Modern Fit with ample room to move in the body and sleeve. The shirt has a left chest patch pocket and is finished with designer buttons for that extra class.The poly cotton fabric has been created to last.